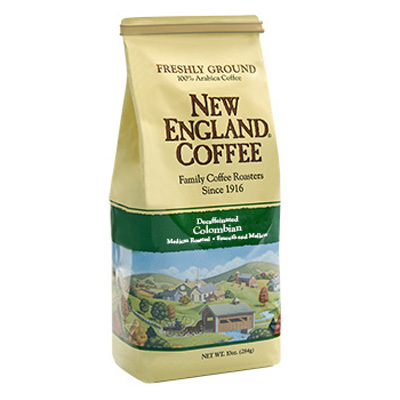 An intensely rich coffee blend perfect for cold, stormy New England winter days. This blend truly lives up to its dark and stormy reputation. Made from a unique arrangement of Central American beans, artfully combined after the roasting process for a dark, aromatic flavor. Available for a limited time only or while supplies last! I loved this dark roast!! It was not bitter at all and compared to some of my other more expensive dark roast favorites. I wish it was available all year round. I thought that I only liked Espresso coffee- I just really like that dark, strong taste. 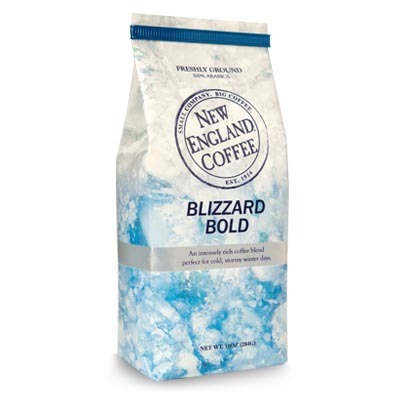 But I happened to pick up Blizzard Bold on sale at the grocery store and FELL IN LOVE with this rich, smooth, DARK coffee. Please make it available year round (or suggest something similar)! Wonderful coffee. Wish it were available all year. I bought enough last spring to last through August, but then I ran out. 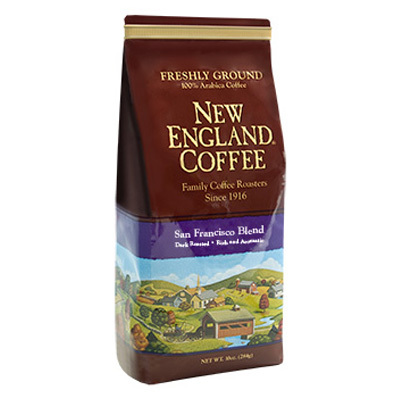 amazing coffee__ I only bought 12 bags and now I have doubts of making it til January when you offer it again. please make this year round just simply amazing. Never found another coffee that taste like it. I have never left a review for coffee before. I love this one so much, it makes me so happy in the morning. Wish it was available all year-round! Love the Blizzard Its awesome great strong flavor. Need it all year. I love this!!! I live in Texas so I can’t just run to a local grocery store and stock up on it, especially if it’s on sale. I think you should keep it around more than just a few winter months.